Psychology Associates are running two PACE workshops this October. PACE is a highly successful approach for working with children who have experienced trauma in their attachment relationships. The workshops will introduce the principles of PACE and provide an opportunity to practice the techniques as well as reflecting on the experience of using the techniques. The first, An invitation to a PACE for Professionals Workshop, is on the 4th October between 9.30am–4pm at Trethorne Golf Club, Kennards House, Launceston, PL15 8QE. The cost of the event is £110.00 (+VAT) per person to include lunch and refreshments. Numbers on these workshops are limited to allow for lots of interaction and feedback. An invitation to a PACE for Foster Carers/Adoptive Parents Workshop, is a 1½ day event about using the principles of PACE in parenting. It will be held at the Trethorne Golf Club and Hotel, Kennards House, Launceston PL15 8QE on 18th October – 10.00am-4.00pm and 19th October – 9.30am-12.30pm. The cost of the workshop is £192.00 (inc. VAT) per person with lunch and refreshments provided on the 18th and refreshments only on the 19th. 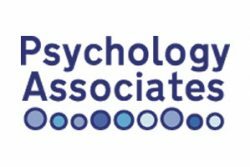 For both of these events please contact Amanda Taylor at Psychology Associates, by calling on 0845 026 7260 or email Amanda.taylor@psychologyassociates.org.uk, as soon as possible.